By @SimonCocking. 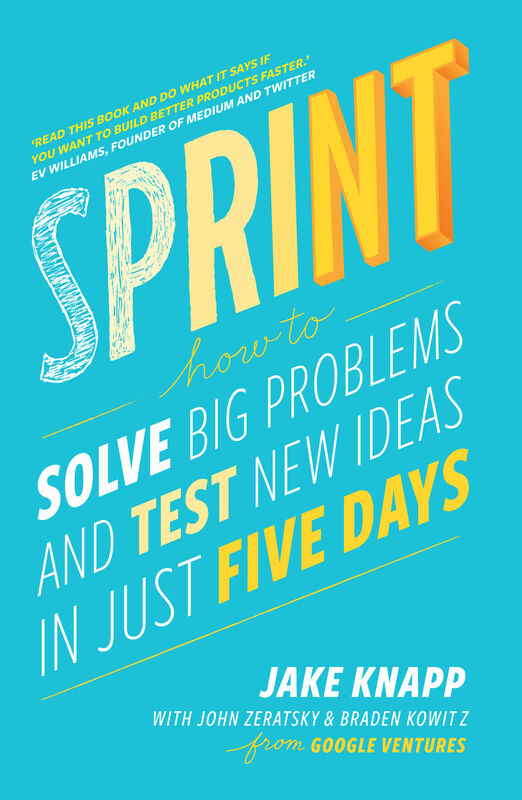 We wanted to find out a little more about Sprint, so we decided it would be useful to interview the main author, Jake Knapp, designer and writer. See more about the book Sprint here. See the Irish Tech News review next week. We enjoyed your book and the good use of graphic images – were you inspired by the books by Jason Fried, ReWork and others, or anyone in else in the design of this book? I was quite inspired by Tim Urban’s waitbutwhy.com. His illustrations are a gold standard for me—they’re not just decoration, they really help to explain the concepts. 5 days is a lot of time, you explain why its important – you delivered this to over 100 startups, how hard was it to convince them to participate for 5 days? Honestly, if you offer a startup the opportunity to build a realistic prototype and test it in only five days, they tend to jump at the opportunity! But it is definitely a significant time commitment, so we only suggest it when the problem they’re working on is an important one. GV is an investor in many of the companies you ran the sprints with – it seems like ‘enlightened self-interest’ to work with these companies – was this a conscious decision to work with them, to help ensure they achieved their goals? That is exactly why we do sprints with the companies in our portfolio. As investors, we want to help them take bigger risks, try more ideas, and better understand their customers. All those things happen in a sprint. Humans can take a long time to make decisions, and often then chose poorly -> is the idea of Sprint to help try to avoid the time that can be wasted in traditional meetings? The ‘decider’ role – this seems like a great idea. Was it conceived as a way to balance the need for democracy with a need for leadership too. Absolutely. When the whole group has to come to consensus, or vote, the result is often watered-down. When one leader decides, the result is more opinionated. That makes for better products. Sometimes the leader is wrong, but in a sprint, you find out fast.